??? Halloween Month of Treats Giveaway ??? 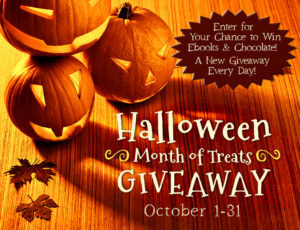 Also mark your calendar for October 26, for a chance to win one of the four books I’m giving away on the Halloween Months of Treats page, Lost Love by Kelly Elliott.